A man convicted of rioting in Ballymurphy in 1971 where soldiers shot dead his brother and nine other people has had his conviction overturned. Terry Laverty’s case had been referred to the Criminal Case Review Commission (CCRC) after a solider who was a key witness in the original trial retracted his statement. Speaking outside court today the 61-year-old said his name was now cleared, but that the conviction had been a heavy blow. “It’s not easy to describe the pain I went through. “My family was totally shattered, everyone of my brothers and sisters were totally shattered. He said all those affected by the tragic events in what has become known as the Ballymurphy massacre deserved to see the full truth of what happened revealed. Recounting how his brother John was shot dead in August 1971 at the age of 20, Mr Laverty added: "As he lay in the street bleeding to death I was being arrested, just yards away. Over three days in August 1971 eleven people were killed by British troops in the Ballymurphy and Springhill area in West Belfast. Ten of the victims were shot dead, while another was wounded and died of a heart attack. Terry Laverty was convicted of riotous behaviour for the events that unfolded in the early hours of 11 August 1971 in Ballymurphy Belfast. After an application by Mr Laverty’s legal team, the CCRC found that there was “a real possibility that the court will set aside Mr Laverty’s conviction and find him not guilty on a rehearing." As a result the conviction was referred back to the county court. The CRC decision to refer Mr Laverty’s case was based on new information that “the sole evidence upon which Mr Laverty’s conviction rests has been retracted by the witness and that, as a result, there is a real possibility that the court will set aside Mr Laverty’s conviction and find him not guilty on a rehearing." 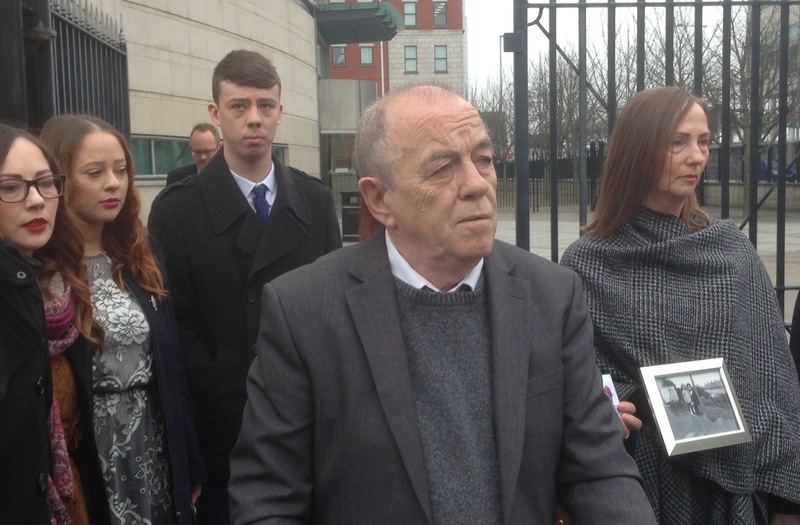 Today a hearing in Belfast’s Laganside court complex was told the Public Prosecution Service was not opposing the appeal and Judge Jeffrey Miller said the riot conviction would be “stricken from the record of Mr Laverty”. Speaking after today’s decision Mr Laverty recalled the bleak episode in his family’s life. “That Christmas, there were no celebrations in the Laverty household," he said. “There were no lights, no trees, no laughter. Seven children were grieving the death of one brother and missing another who at 18 years old was spending Christmas in prison. Speaking after today’s hearing Mr Laverty also thanked the victims’ group Relatives for Justice (RFJ), saying it had supported him for a decade. RFJ Deputy Director Andrée Murphy said the decision in Mr Laverty’s case represented an important development that would encourage others to come forward. 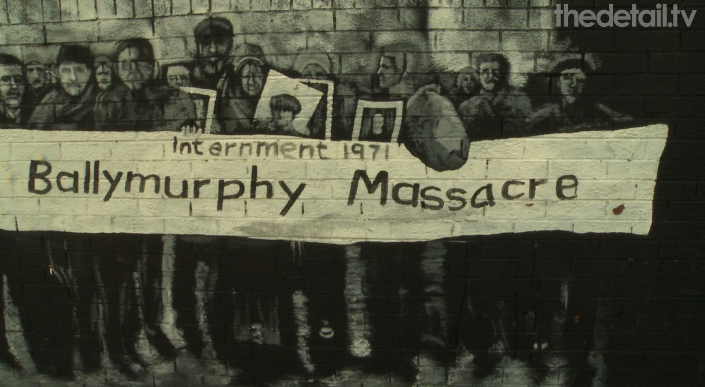 Families of the Ballymurphy victims have been campaigning for a full public inquiry into the shootings. An inquest into the 10 deaths caused by gunfire was ordered by Attorney General John Larkin QC in 2011. In recent years the families have also been campaigning for an inquiry similar to the model used to examine the Hillsborough football disaster of 1989 which would review all documents relating to the deaths of their loved ones.